Millions of people across America suffer from asthma. It affects, individuals of all ages and ethnicities. Asthma is a respiratory disease, which affects lung function and its ability to receive oxygen and expel air through the air passageways. The air passageways are congested in the asthma patient. The muscles constrict and fill up with inflammation and mucous in reaction to an allergen. This makes breathing difficult, as the air going to and from the lungs is restricted as well. Asthma is an immune system disorder, because the body mistakes innocuous inhaled particles in the air to be harmful and so it protects itself with the various antibodies, which is produced in the inflammation. 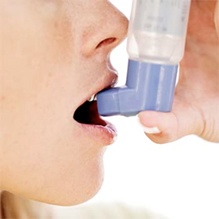 As an asthma sufferer, no doubt you would want to end your ordeal of coughing, wheezing, and shortness of breath. No doubt you would want to end this roller coaster ride of times when you are symptom free and then bouts of asthma attacks. You may feel you are unsure of what each day will bring because of your asthma. No doubt you are like many asthma sufferers constantly looking for a cure. The unfortunate thing is there is no cure for asthma at this time. Your symptoms can be managed and kept under control, but the minute you go off your asthma action plan which your doctor has worked out for you, the symptoms come back with a vengeance in some cases. The asthma attack can be so bad that you find yourself in the emergency room or worst still hospitalized for a few days. The first step in the action plan, of course, would be to avoid the triggers if at all possible. Some triggers can be avoided such as staying away from secondhand smoke, while others cannot, such as going out in hot or cold weather conditions. You may limit the time you are outside, but you still have to leave your house to work, grocery shop etc. The next step would be to take your medications faithfully and at the time they are prescribed for you. Even if you do not have any symptoms, it does not mean your asthma is cured, it just means it is under control. Do not confuse rescue medication, which is the medication you take when you are having an attack such as Albuterol with daily management medication. 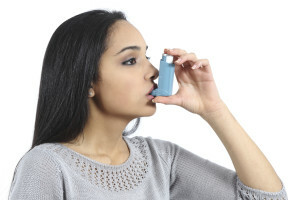 Relief or rescue medications will relieve symptoms once a bout of asthma is in progress and you may find that you don’t need these medications as much. You will still need your medication to prevent the asthma in the first place. You must take this medication to control your asthma. These are the corticosteroids, which you are taking. They are designed to reduce the mucous in the air passageways and are responsible for the times you are actually asthma symptom free. The third step is to monitor your asthma if your doctor has made this apart of your asthma action plan. Here is your chance to check your lung function on a daily basis and see when your asthma is doing well, worsening, or in the danger zone. In order to do this, your doctor may prescribe a peak flow meter. You would blow into this device and it would register your lung capacity. There are two types of peak flow meters. There is the digital readout where the lower numbers mean your asthma is out of control, and there is the mechanical meter, which represent lung function by color. Green means your asthma is well controlled, yellow means it is worsening and red means you are in serious trouble and you need to get medical help immediately. Some people choose alternative medicine to help with their asthma symptoms. However, the bottom line is that there is no cure for asthma at this time. 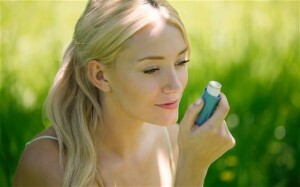 Herbal remedies may help manage symptoms they cannot cure asthma. If you are going to go this route keep in mind that some herbs may interfere with your asthma medication and you must always check with your doctor before trying out these alternative remedies.